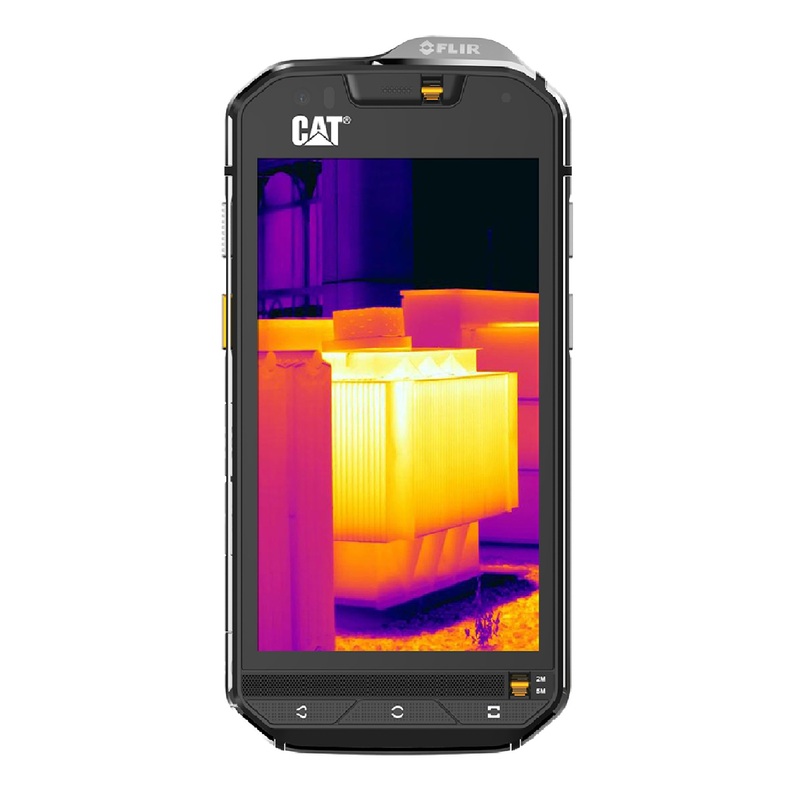 Meet the CAT S60, the world's first mobile phone to feature a dedicated FLIR thermal imaging camera built into the handset. Combining an extremely durable design thanks to it's strengthened die-cast frame, hardy physical buttons and finished off with a Corning Gorilla Glass 4 touchscreen – the CAT S60 is the best Cat Phone yet! 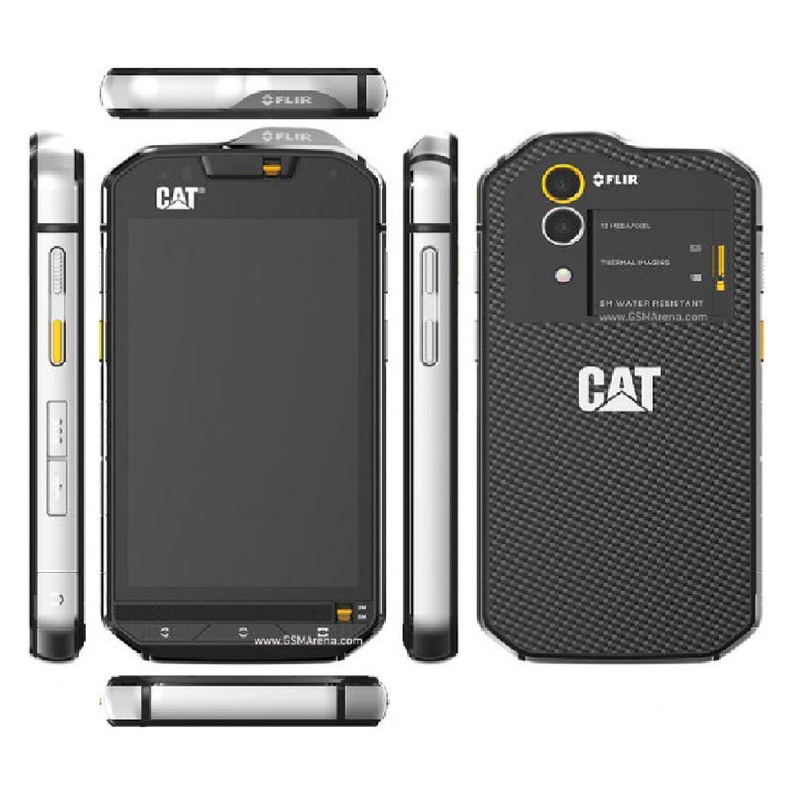 The CAT S60 is IP68 certified and can be submerged at depths of up to 5 meters for 60 minutes; making this the world’s most waterproof smartphone (plus it’s completely impervious to dust ingress!). Shock-proof and capable of withstanding drops onto concrete from heights of up to 1.8 meters, heavy handling also shouldn’t be a worry. 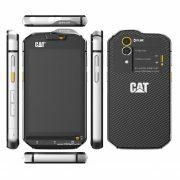 The device features CAT’s trademark Glove-On touch screen technology as well as wet-finger tracking, thus enabling you to use the device no matter how wet or dirty your hands are. You’ll be forgiven for thinking that this device is all brawn, however thanks to the CAT S60’s 1.2GHz quad-core Snapdragon 617 processor and 3GB RAM you’ve got all the essential smartphone features you could need. There’s also a 13MP rear-facing camera for taking ‘normal’ photos, as well as the dedicated FLIR thermal imaging sensor, 32GB of internal storage and super-fast 4G connectivity.